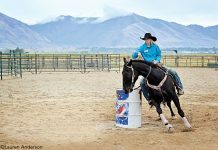 If you’re a high school student involved with American Saddlebred horses, and you think you might be scholarship material, grab your notebook and start writing. Since 1991, the American Saddlebred Horse Association has awarded more than $200,000 in scholarships to youth involved with Saddlebreds. The scholarship money will be paid directly to the institution, university, college, or trade school for post-secondary educational expenses. Each year, ASHA recognizes its members in grade 11 or higher, age 21 and under, on the basis of academic success, financial need, extracurricular activities, including community service, involvement with American Saddlebred horses and personal references. How do you qualify for consideration? Applicants are asked to write an essay, including information about school experiences, special interests, hobbies and ASHA activities. An interview may also be part of the selection process. 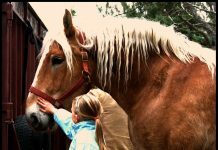 If you’re ready to pony up an application, add this date to your Palm Pilot: Completed applications are due in the ASHA office no later than Monday, April 30, 2007. You can obtain application forms and additional information on the ASHA website.